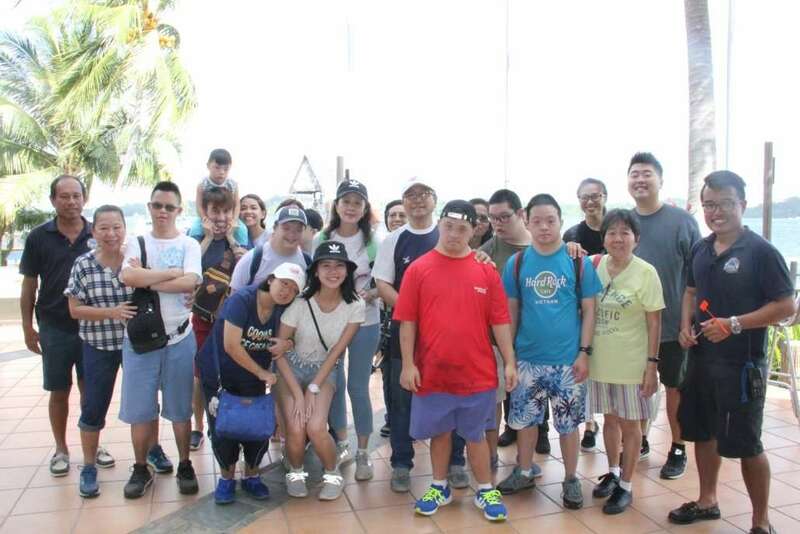 On 20th January, as part of our Community Outreach Program, Changi Sailing Club hosted 11 members and 13 caregivers from the Down Syndrome Association Singapore (DSA)(S). DSA(S) is a primarily self-funding, non-profit voluntary welfare organisation with IPC (Institute of Public Character) status, which works closely and regularly with healthcare and educational professionals, and voluntary welfare organisations. The Association is affiliated to international bodies such as Down Syndrome International (DSI), the Asia-Pacific Down Syndrome Federation (APDSF), Asian Federation of Mental Retardation (AFMR) and the International Association of the Scientific Study of Intellectual Disabilities (IASSID). In April 2004, DSA(S) was invited to organise and host the 8th World Down Syndrome Congress in Singapore, which attracted participants from more than 34 countries. CSC is happy to support such organisations and their programmes – looking forward to bringing them out on a sailboat on the next visit to the Club! From Beach Catamarans to Platus, rentals of various dinghies and keelboats for leisure and competitive use are available. Regular Sailing Courses with relevant certifications, conducted by our qualified and experienced instructors, are open to members and non-members alike. Signature Sunday Series – Round Ubin Race NTUSC goes Sailing!